We added some unprecedented and vitally important features to this useful piece of equipment. 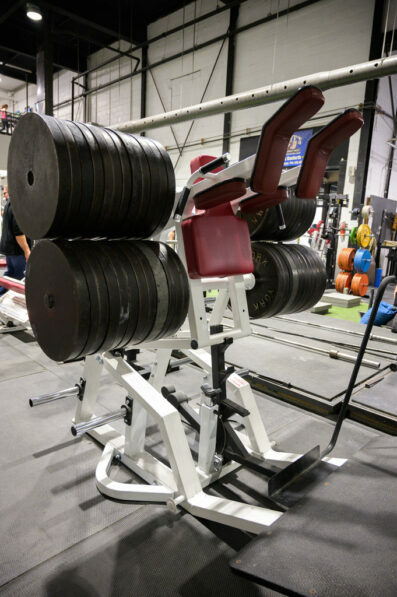 The completely unique angle of the shoulder pads make this the most comfortable and effective Power/Hack squat machine on the market. 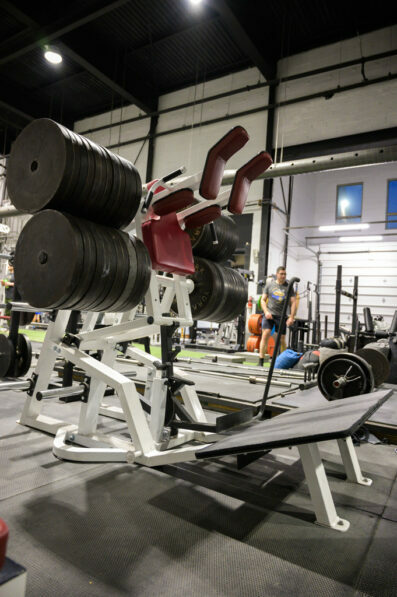 The direction of the force you create when exerting the most effort and force is perfectly in-line with the movement pattern of this machine. 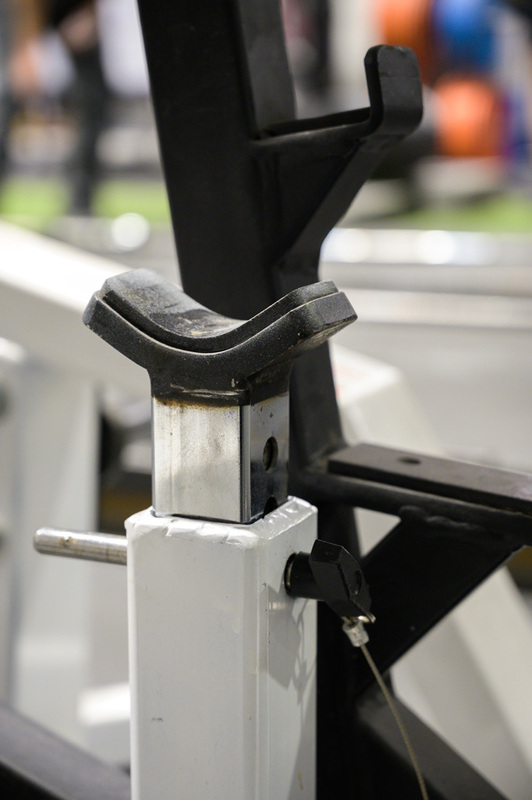 A unique handle to safely re-engage the resistance back onto the machine allows you to maintain a perfectly straight spine with no need to shift your weight onto one foot as with typical but inferior machines. 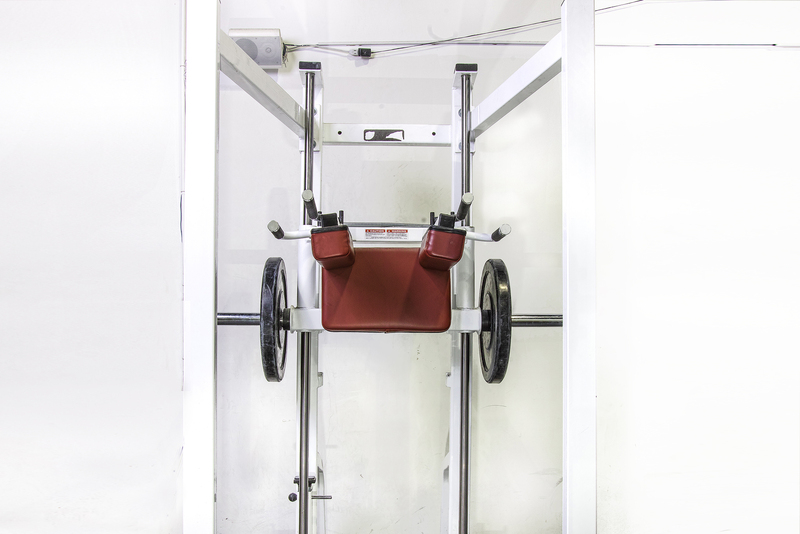 Another important addition to our Power/Hack squat machine is the heavy duty adjustable stopper for complete safety and peace of mind when you are testing yourself with maximal loads. 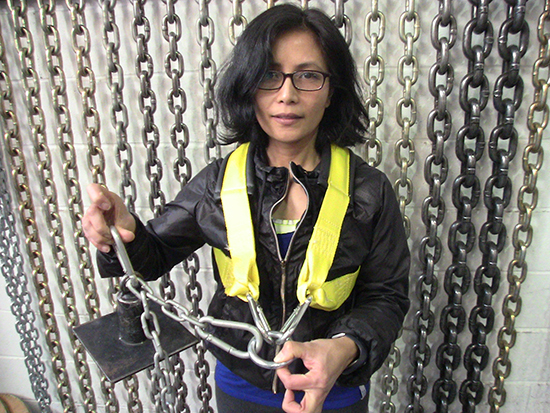 The stopper also allows for the removal of the stretch reflex and an extra safe box-squat effect, since the resistance is supported by the machine. 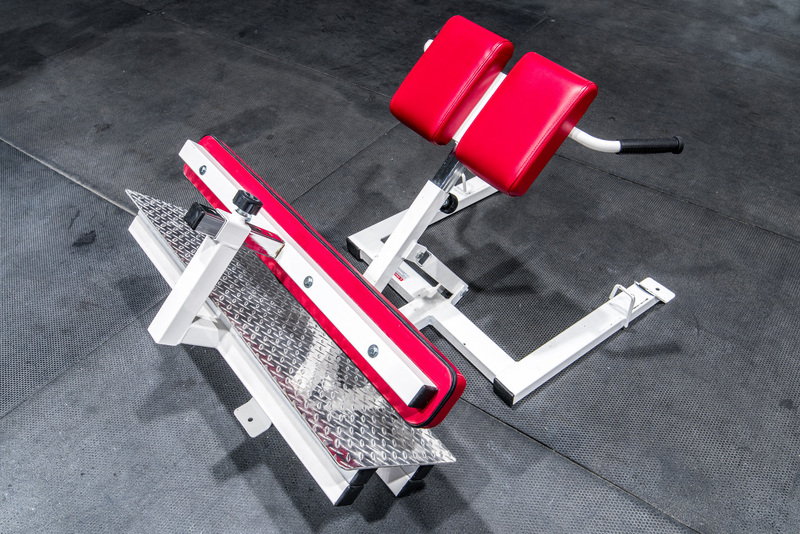 The limited back pad length and added thickness allows for the safe extension of your lower back when completing the hack squat exercise. 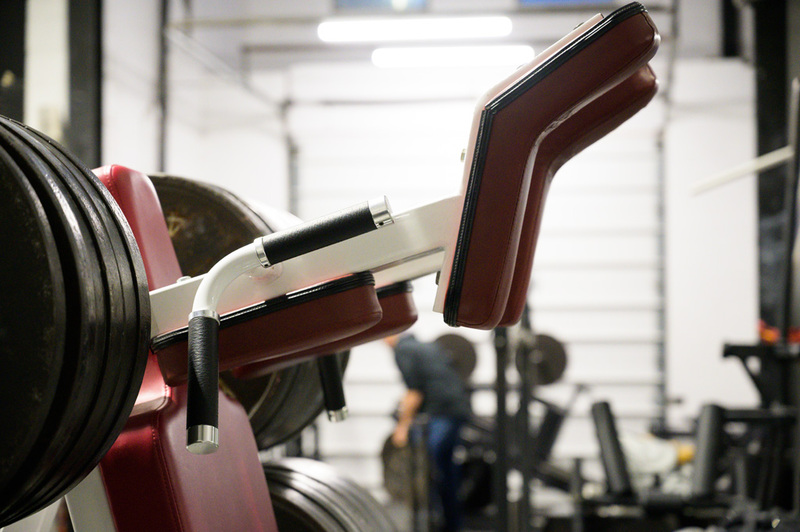 This change puts the resistance over your center of gravity during the drive upward and allows your lower back to maintain a healthy and natural extension. The extra large, 48 inch x 24 inch foot plate with a top layer of rubber will accommodate any type of stance. 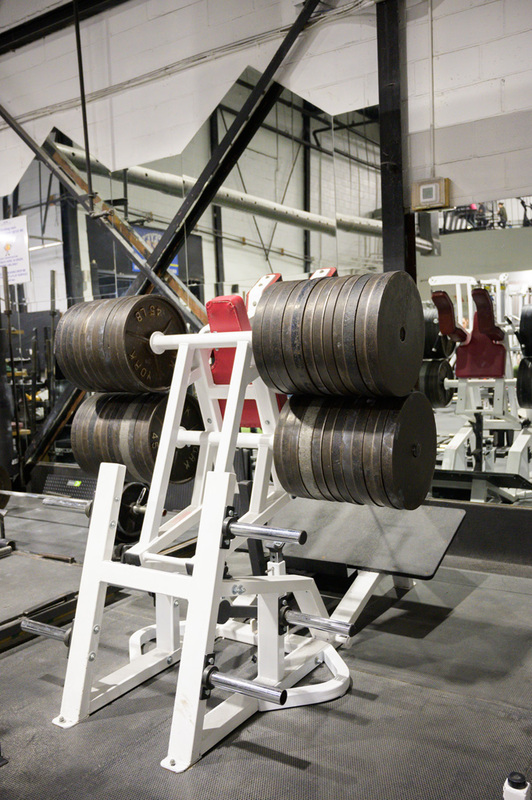 Two additional heavy duty plate holders allow for up to 48 standard 45 pound Olympic plates. With the weight of plate holders and frame, that’s over 2,300 pounds of resistance, more than any other machine. 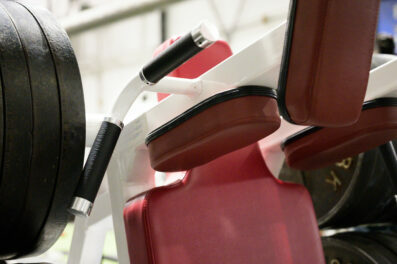 Welded band hooks provide for a contrast effect and virtually unlimited additional resistance. 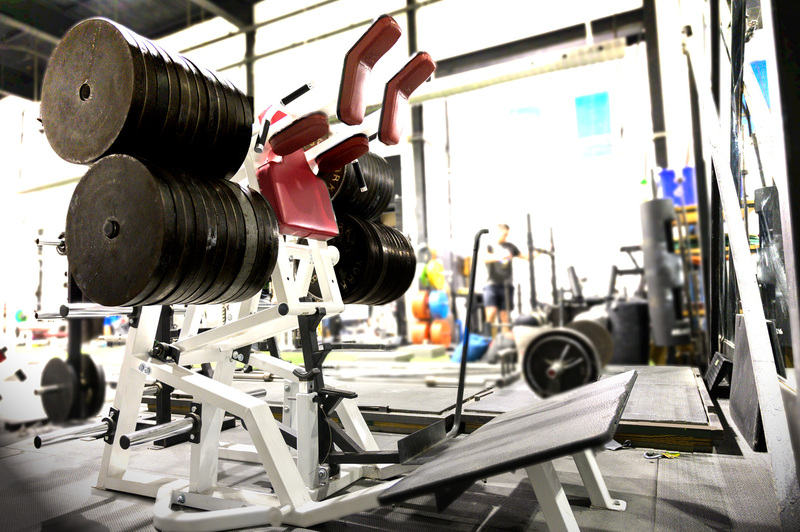 They also allow for 3 forms of resistance – bands, plates, or a combination of the two. 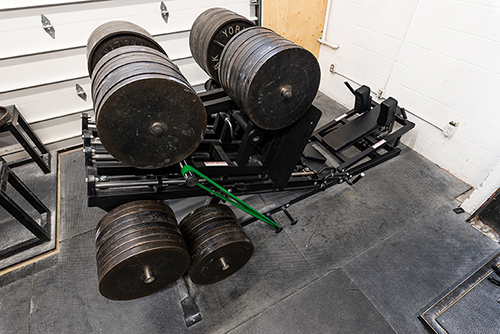 Finally, there are now 6 plate holders for plenty of storage. It’s a fine piece of equipment, I use it all the time.